Lovelies, it's almost Spring. I mean, we've Sprung forward an hour...can't you smell Springtime in the air? As soon as I started feeling Springy, I've been obsessed with color. 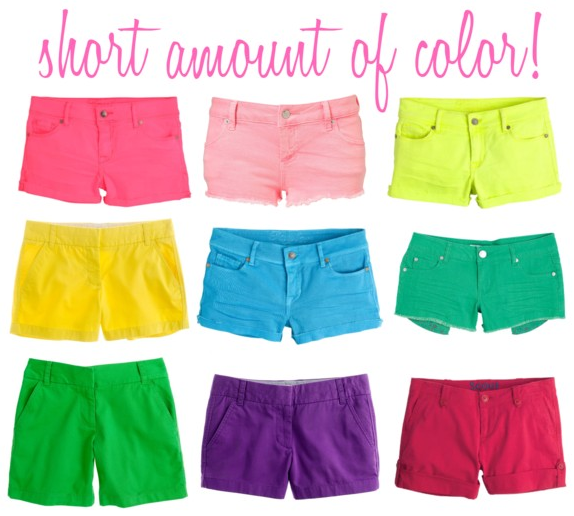 Take, for example, all these colorful shorts...aren't they adorable? These would be perfect with a white t-shirt, a matching cardigan, and ballet flats. I just love how many colors are available in the world, don't you?